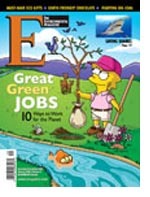 Would you — or your kids — rather work at a ‘McJob’ or a ‘Green Collar’ job? Let’s hope we can convince lots of young people that green collar jobs offer far brighter opportunities than any McJob, because the world needs a lot of cleaning up (even without further disasters like the oil spills in San Francisco Bay and the Black Sea in 2007). I happened to be visiting San Francisco on November 8th, 2007, the day after a cargo ship crashed into the Oakland San Francisco Bay bridge spilling 58,000 gallons of heavy bunker fuel oil into San Francisco Bay. 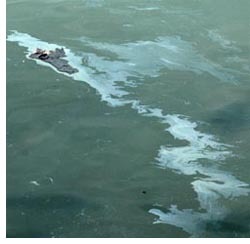 The spill is a tragedy that has damaged wildlife, fish stocks, plants and tourism. It may take years, and an unknown number of man hours, to clean up. Beaches were closed, police cordoned off sensitive areas, and numerous signs were posted warning of the environmental damage. “USGBC’s vision is sustainability within a generation,” Katz says. “People who are already involved in the green building market are ahead of the curve—they’ll be the ones who are in demand.” USGBC’s Leadership in Energy and Environmental Design (LEED) green building rating system, which once applied primarily to commercial buildings, has now been adapted to homes, retail, schools and healthcare buildings, creating a need for more LEED-accredited professionals (LEED APs) and other green-minded engineers, contractors, architects and designers. There’s also room for more employees in service businesses making green products and materials, from recycled roofing to energy-efficient heating systems. Montana-based CTA Architects and Engineers employs 47 LEED APs and took on the role of developer for its latest sustainable project, Amsterdam Village. The 350-acre development in Southwest Montana includes sustainable requirements for homes, 50 percent open space, an organic farm, walking trails and wetlands. “There’s a synergy that goes on when your neighbors are doing the same thing you are,” says lead CTA architect Wayne Freeman. “There’s the desire to keep up with the Jones’.” What’s more, says Freeman, “Lots of clients are starting to like this idea. It’s a free market society and that’s where people’s values are shifting.” —B.B. 9. In the age of Halliburton and ExxonMobil scandals, the idea of holding corporations accountable for their actions might sound naïve. But with companies working to establish guidelines for social responsibility, the word “corporation” could sill take on new meaning in the 21st century. To make corporations more responsive to environmental, human rights and health issues, corporate responsibility advocates start from business’ bottom line and work their way up. Using the idea of the integrative “triple bottom line,” activists have persuaded some corporations to move from thinking solely about profits to the three P’s—people, planet and profits. There are a lot of lessons that can be learned from this article. We need to step back and take a serious look at the economy of the world right now. We need to look at the environment and take into account what we can do to improve it. As a writer, educator, and active proponent for stewardship and sustainability, it is my intense desire to find, or create, an employment opportunity for myself here in a state where blatant disregard for the environment is reaching crisis proportions. 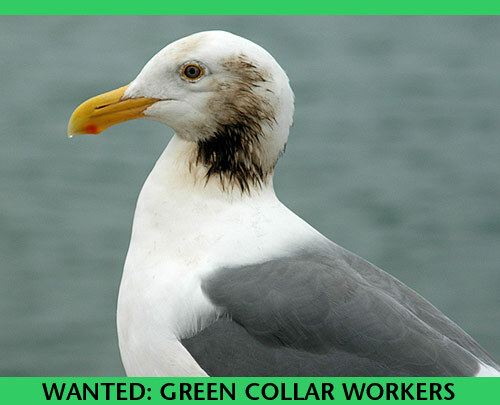 Can you suggest places for me to promote my talents and desire to become another green collar contributor?